The title and poster appealed to me right away. Then I watched the trailer, and I knew that Sunset Song had the kind of cinematography I could fall in love with. The cinematography for Sunset Song looks gorgeous. Glorious! It's the kind of film that embraces the beauty of land, and nature. The first image in the trailer is stunning, and every new clip fills our eyes with beautiful images. Sunset Song is about "the daughter of a Scottish farmer who comes of age in the early 1900s." With a film this visually appealing I can only hope that it's full of substance and depth. 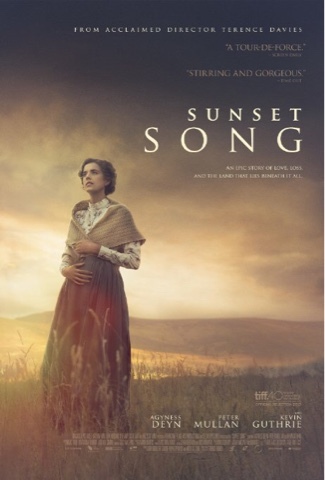 Sunset Song hits theaters on May 13th.